The warmth and character of classic vintage equipment with the convenience of today’s digital systems located in downtown Halifax, Nova Scotia. The skylit ‘loft’ room contains original 1820s brick & wood beam architecture within 1000sq ft of performance space. Neve V-III, 48 channel strips with full dynamics and EQ. 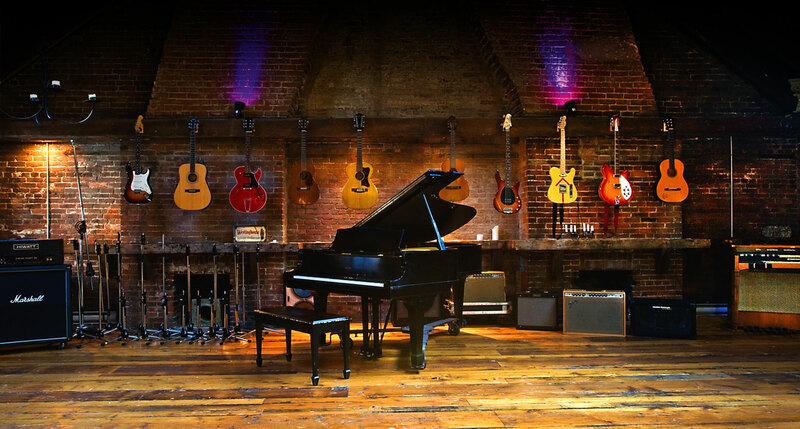 The unique character and acoustics of the studio are housed within an 1820s heritage building with exposed brick, wooden beams, intricate molding and modern skylights. 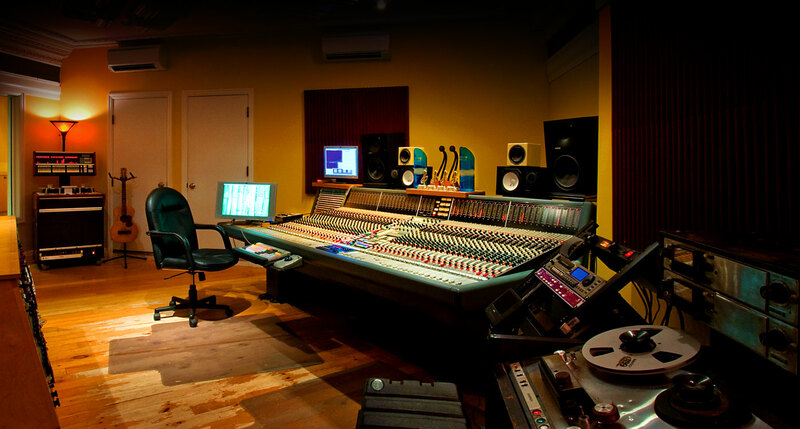 A 1000-square-foot loft recording area features an 18-foot ceiling and pine flooring restored to its original splendor, sitting atop a modern floating floor designed to offer maximum isolation between this space and the control room below. * Please email to coordinate session rates. Full payment required before release of masters. We accept Visa, Mastercard and Interac Transfer. Lil Thomas has extensive knowledge in the theory of operations and practical applications of professional recording consoles, studio design and miking techniques. He is also experienced with all types of digital and analogue recording equipment, hard disk recording and editing, midi sequencing and all aspects of post-production. In 2005, Lil began teaching at the Centre for Arts and Technology and was promoted to department head of the Audio Engineering Program the following year. This title has led to a management and consultation role in the studio, allowing Lil to foster the talents of main engineer Darren Van Niekirk. Lil is a five-time ECMA winner. Darren van Niekerk began working at The Sonic Temple as an assistant in May 2003, following his graduation from NSCC’s Recording Arts Program. 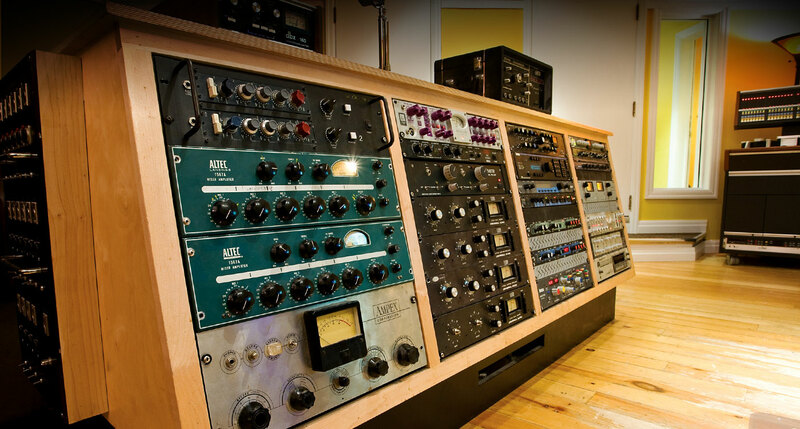 Since that time he has established himself as the studio’s house engineer, honing his skills on countless recording projects spanning many genres in both digital and analogue environments. With a handful of ECMA and Music Nova Scotia nominations under his belt, Darren continues to refine his approach to the studio with a respect for modern production techniques while maintaining an organic feel and tone. Mike Hastings is originally from Winnipeg, Manitoba, and moved eastward to pursue an audio engineering career. Continuing his audio studies at The Centre for Arts and Technology, he received the IDEALS achievement award for highest standings in their twenty-one month Audio Engineering course. With almost a decade of experience composing and producing instrumental music in various genres from Hip Hop to Hybrid Orchestral music, Mike brings a strong technical and musical background into the studio environment. In addition to working with artists as a producer, recording and mixing engineer, Mike has experience providing sound design for T.V. and internet media as well as several years of teaching college-level audio engineering courses.